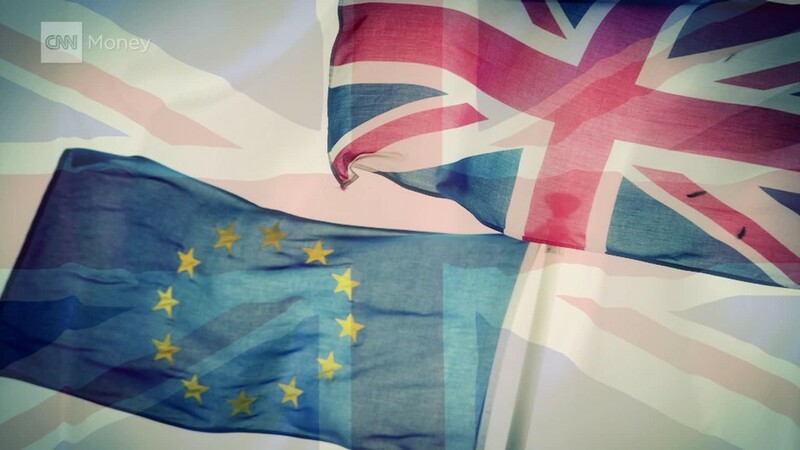 It has been six months since Britain voted to leave the European Union, and the herculean task facing the government and its negotiating team is finally coming into focus. Prime Minister Theresa May has given little away about what she hopes to achieve in exit negotiations with the remaining 27 EU member states. But political, legal and economic realities mean that the talks will be contentious, and Britain has precious little leverage. Many commentators have likened the negotiations to a game of poker: Two players with hidden cards and secret strategies. A better comparison may be blackjack, where the house controls the action and one wrong decision can result in a bust for the gambler. May wants to trigger Article 50, the legal mechanism that will govern the U.K.'s separation from the EU, by the end of March. She may not get her way -- lawmakers could yet delay the timetable. But once that point is reached, negotiators have just two years to agree the details of Britain's exit. EU officials want a deal done in 18 months to allow time for it to be ratified. That's a tight deadline to resolve thorny issues such as how much Britain will have to pay to wind up its commitments to the EU. It's even less realistic to expect the nature of the U.K.'s future trading relationship with Europe, and the wider world, will be settled within that period. Power players Germany and France have national elections in 2017 that may limit their ability and inclination to discuss how much access to Europe's vast markets British business will have once the U.K. quits the EU. But if no new deal is struck by March 2019, the U.K. will crash out of the EU into a vacuum, frantically trying to negotiate new agreements with its major partners. Hence expectations are rising that there will be some kind of transitional arrangement that will prevent British exports of goods and financial services falling off a cliff when Brexit happens. Britain would leave the EU, but continue to abide by its rules while trade negotiators continue their work. That's a scenario that angers Brexit hardliners, who insist that anything short of a complete separation by 2019 would be unacceptable. But a committee of the House of Lords -- the upper chamber of the U.K. parliament -- believes a transitional agreement "will almost certainly be necessary." "We see little evidence that agreeing a transitional arrangement would put the UK's wider interests at risk," the parliamentary committee said. "Quite the opposite: a transitional arrangement would allow negotiations to be conducted in a less pressured environment, benefiting all concerned." The list of issues to be settled is extensive: Will Britain pursue membership in the European Economic Area (which includes Norway and Iceland). Will it continue to allow the free movement of EU citizens across its borders? Will it accept oversight by EU courts? Will it remain a member of the European customs union? And if the answer to these questions is "no," is it willing to pay the inevitable price in barriers to trade? So far, businesses based in the U.K. have faced the uncertainty brought on by Brexit with relative calm. But demands for clarity from the government are growing louder. Communications have so far been haphazard. May has said she would not provide "running commentary" on Brexit preparations. But her officials have filled the void with chatter, much of it contradictory. Top Brexit official David Davis reportedly said in November that he was "not really interested" in a transitional arrangement with the EU. He has since said he would accept such an arrangement "if necessary." Free trade or border controls? And Ivan Rogers, the U.K. ambassador to the EU, reportedly told ministers in October that a new free trade agreement with the EU could take 10 years to negotiate. The prime minister's office said that did not reflect the government's view. The biggest issue to be settled is that of immigration. May has indicated that limiting the number of people coming to Britain is paramount. The EU was founded on the principle of free movement and Germany and France have made clear that the U.K. can't enjoy the benefits of Europe's internal market if its borders close. The light years between those positions suggests a rocky road ahead.